Fine. New, but some minor shop soiling. Very Good. 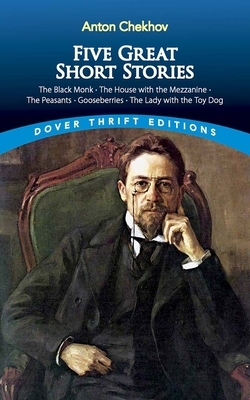 Five Great Short Stories (Dover Thrift Editions) by Chekhov, Anton, 1990-07-01. Trade paperback (US). Glued binding. 96 p. Dover Thrift Editions. Intended for a young adult/teenage audience.